A bachelor's in Computer Science is about empowering you with a well-rounded education so that you can anticipate change and embrace the future. The university's course catalog offers information on courses offered, the course description, and prerequisites, and the course schedule lists the current and upcoming course offerings. The four-year course offering guide will help you plan your program of study. Students are encouraged to meet with their advisors every semester to make sure they are on track towards a degree and that courses taken will be applicable towards graduation. Download the course offering guide here. 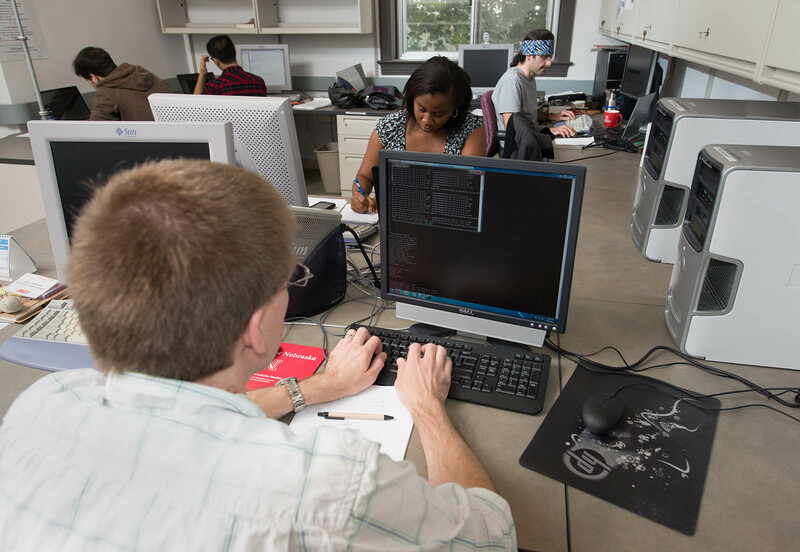 Our department offers undergraduate students three majors: computer science, computer engineering, or software engineering. Students in each major will learn many of the same concepts and even take some of the same courses, but will have different academic requirements and learning experiences. 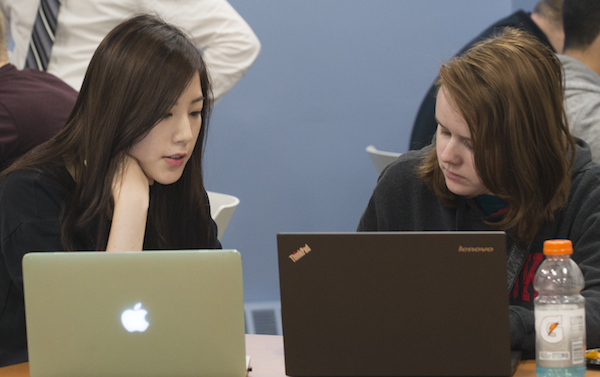 Students also have the opportunity to minor in computer science, or graduate with a computer science focus (advanced skills in a specific area). The University of Nebraska–Lincoln does not currently offer a minor in computer engineering or any engineering discipline. Undergraduate advising is an integral part of your college education. We are here to make sure you get your questions answered. Advisors will guide and support you through the college experience, helping with everything from course selection and scheduling to career advice and internships. Hours: Monday–Thursday: 9 a.m.–9 p.m., Friday: 9 a.m.–5 p.m.
Events: Free Snack Wednesdays: 3–4 p.m. The CSE Student Resource Center is staffed by student tutors and teaching assistants who are available to help you with course work. Teaching assistants for all courses hold office hours in the Student Resource Center. Refer to the online schedule for specific times. Even if you don’t need help, the Student Resource Center is a great place to study with your peers. Interested in becoming a Undergraduate Student Resource Tutor? We are always looking for great students to work as tutors in the Student Resource Center. If you are interested and meet the following requirements, please email your resume to Jenna Huttenmaier.